Another interesting thing is, that a Weissenborn guitar is used in the arrangement of the song, a special kind of Hawaiian slide guitar. Dan Mangan will go on tour in Germany in late 2009, and I think the Germans will like his songs too. Another member of Recoveco is the fantastic violin player Alexis Cardenas. Alexis Cardenas is known as a classical violin player, but he also plays the music of his homeland Venezuela very well. 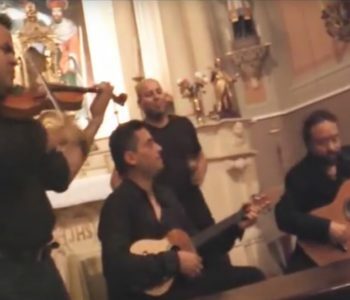 In this video Recoveco plays their version of a Pajarillo, a very popular tune in Venezuela, which goes back to the Spanish fandango nad is usually played on the Venezuelan cuatro. Alexis Cardenas combines this tune with barock music by J. S. Bach – a very interesting combination of styles. Later a long solo part played on the maracas follows, and then the plucked instruments take over the lead. Ricardo Sandoval plays the venezuelan cuatro in this video. This is really good music, I have watched the video several times – enjoy this! 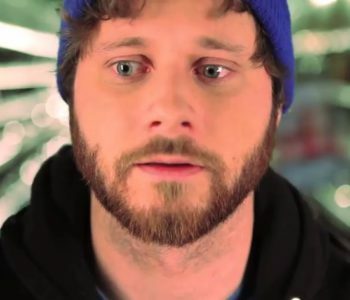 Yesterday I accidentally found a video with the tune Ashokan Farewell. I had previously heard this melody, but I have never really dealt with it. But now I want to show this melody to our fiddle player, and I have searched for more videos with this tune. When you hear Ashokan Farewell you might think that this is a traditional Irish tune, but that is not the case. Ashokan Farewell was composed by Jay Ungar in 1982. 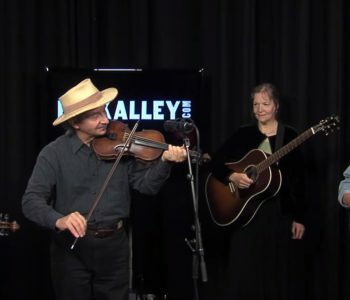 Jay Ungar and his Wife Molly Mason are playing american roots music since the late 1970s and have organized fiddle and dance camps. Ashokan Fawell was used in a TV Series about the American Civil War and is a tune that is obviously known by many Americans. The music for this TV series has even won a Grammy award, and Ashokan Farewell was nominated for an Emmy. The music composed by Astor Piazzolla is famous around the world, especially the three pieces from Histoire du tango are played very often. And very often those pieces are played with mandolin and guitar. 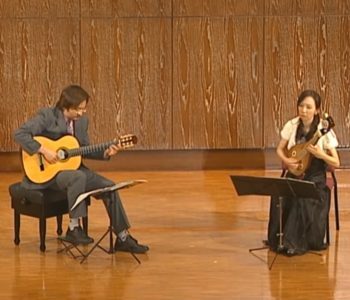 In Taiwan YaHui Chen und YunChang Dong have played tose three pieces in a concert with chines 4-stringed mandolin liuqin and guitar, the three videos of this performance can be found at youtube. Enjoy the Histoire du tango in this unusual version!